Tax-free distributions in retirement can have a positive impact on your retirement. Thanks to the new tax brackets that took effect in 2018, paying tax on the seed, not the harvest may now be even better. In light of growing fiscal deficits and national debt, most financial professionals and economists believe that taxes will need to go up to pay down these deficits and fund programs such as Medicare, Social Security, federal pensions, and defense. The current tax rates are scheduled to sunset in 2025, so we have less than eight years to pay the tax on the seed (contributions) and later have a tax-free harvest (contributions plus potential compound earnings). Of course, if you feel it necessary to help Uncle Sam, then go on delaying the tax until he requires you to share your wealth with him. There are certain circumstances where your Roth IRA and Roth TSP distribution could be subject to income tax. Determining whether your withdrawal will be taxed depends on factors such as your age and the type of funds you’re withdrawing. In order to have your Roth distributions tax-free there are rules you have to follow. They differ between a Roth IRA and a Roth TSP. What are the ordering rules? Roth IRA distributions can consist of contributions, converted funds and earnings, or any combination of the three. To determine what your distribution is, you must use “ordering rules” which dictate the order in which these categories of Roth IRA money must be withdrawn. All Roth IRAs are considered one Roth IRA for distribution purposes. A Roth IRA distribution will consist first of any Roth IRA contributions. If there are no contributions or those amounts are completely exhausted, the next funds out are converted funds. Once all converted funds have been exhausted, the remainder of the distributions will consist of earnings. Are you withdrawing a contribution? Roth IRA contributions are the annual amounts that you contribute to a Roth IRA account. A distribution of Roth IRA contributions will always be both tax and penalty free. Are you withdrawing converted amounts before age 59 ½? Converted funds are never subject to income tax. 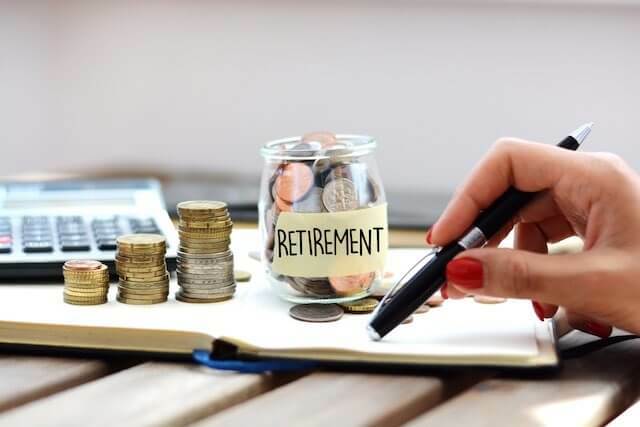 However, they will be subject to the 10% penalty for early distributions (unless an exception applies) if you are under 59 ½ and they have been in a Roth IRA for less than five years. Each conversion starts its own 10% PENALTY 5-year clock, and the converted amounts are withdrawn on a first-in, first-out basis. Are you withdrawing converted amounts after 5 years or age 59 ½? A distribution of converted funds after 5 years or after age 59 ½ will be entirely income tax and penalty free. Are you withdrawing earnings before age 59 ½? Earnings withdrawn prior to age 59 ½ are generally subject to income tax regardless of how long they’ve been in a Roth IRA account. Earnings withdrawn prior to age 59 ½ are also generally subject to the 10% penalty for early distributions unless an exception applies. Are you withdrawing earnings after age 59 ½ and 5 years? Earnings withdrawn after age 59 ½ are never subject to the 10% penalty. They may, however, be subject to income tax. If you have held a Roth IRA for more than 5 years, your earnings are tax free, if not, they are taxable at ordinary rates. Roth TSP distributions consist of contributions and earnings. As yet, the Federal Retirement Thrift Investment Board (FRTIB) has not established procedures to allow you to convert funds from your traditional TSP to your Roth TSP. If you have a Roth 401(k), Roth 403(b) or Roth 457(b) plan from another employer you can transfer to your Roth TSP account, but you cannot transfer a Roth IRA to Roth TSP. A distribution that is not qualified is subject to the pro-rata rule. The non-taxable amount of the distribution is determined by dividing your deferrals (basis), by the balance in the Roth TSP account and multiplying the amount distributed by the result. Kathy has deferred a total of $30,000 to her Roth TSP and has a total balance in the account of $40,000. She then takes a distribution of $12,000. A total of $9,000 of the distribution will be tax-free. In addition, when you have both a traditional and Roth TSP and take a withdrawal, money comes from your traditional and Roth balances on a pro-rate basis. For example, if 70% of your account is in your traditional TSP and 30% is in your Roth TSP, any withdrawal you take will be 70% traditional and 30% Roth. This causes problems, one of them being that you really can’t plan for tax efficiency in retirement if you leave your TSP funds in TSP in retirement. However, thanks to the TSP Modernization Act of 2017, you will have the option to take a withdrawal only from your Roth balance or only from your traditional balance. The TSP’s Roth portion is also subject to Required Minimum Distributions. This to me seems counterproductive to force distributions from tax-free accounts. These less restrictive options will be available for all types of withdrawals at the very latest, November 2019. TSP intends to have the changes in place before the two-year deadline and will announce the date at a later time. For more information on the upcoming changes to withdrawal options check out the TSP publication. Some information contained within this article is Copyright © 2018 of IRA Help, LLC and Reprinted with permission. IRA Help, LLC takes no responsibility for the current accuracy of this information. Taxes Are Temporarily ‘On Sale’ – Are You Taking Advantage? Will I Be Forced to Spend My TSP When I Get Older?